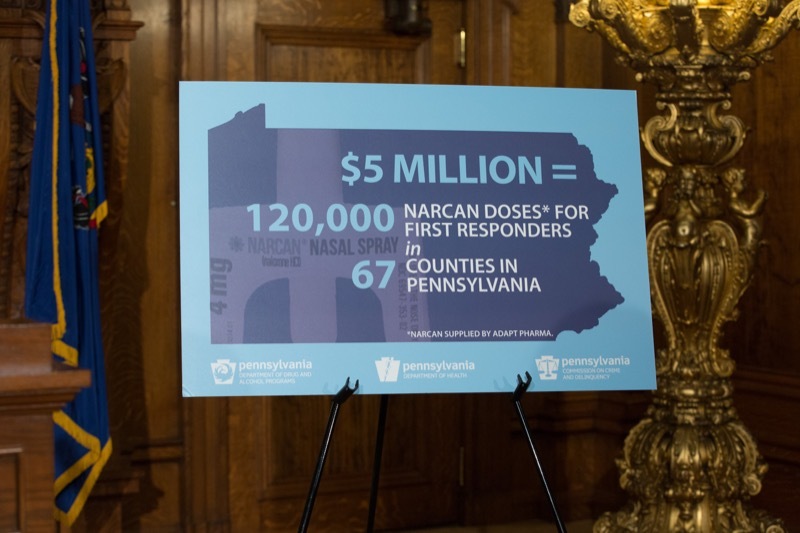 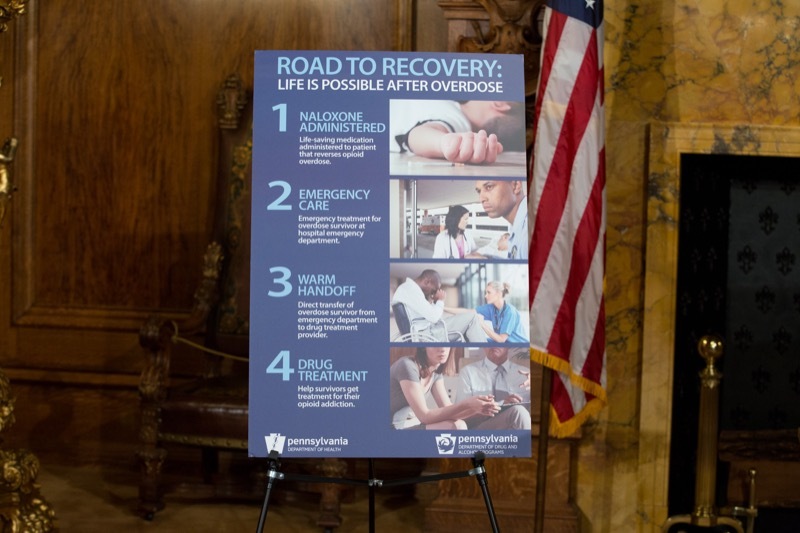 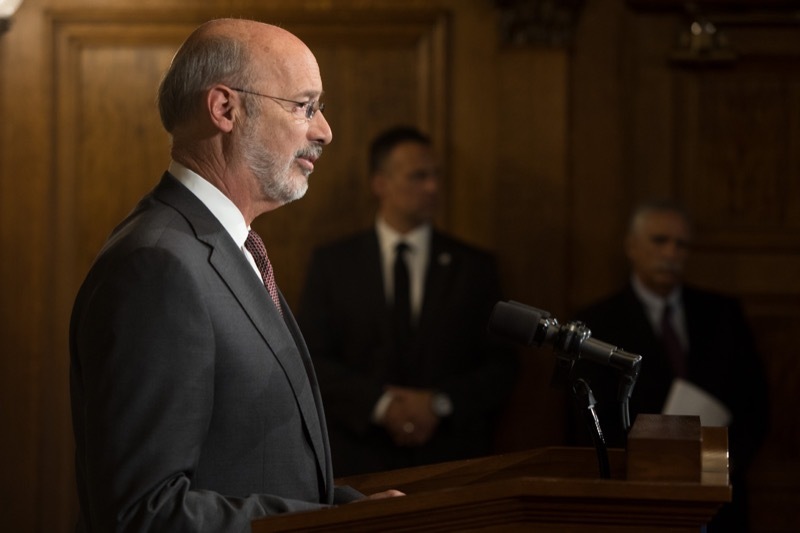 Wolf Administration officials today announced that applications for naloxone kits for first responders throughout the commonwealth are now being accepted. 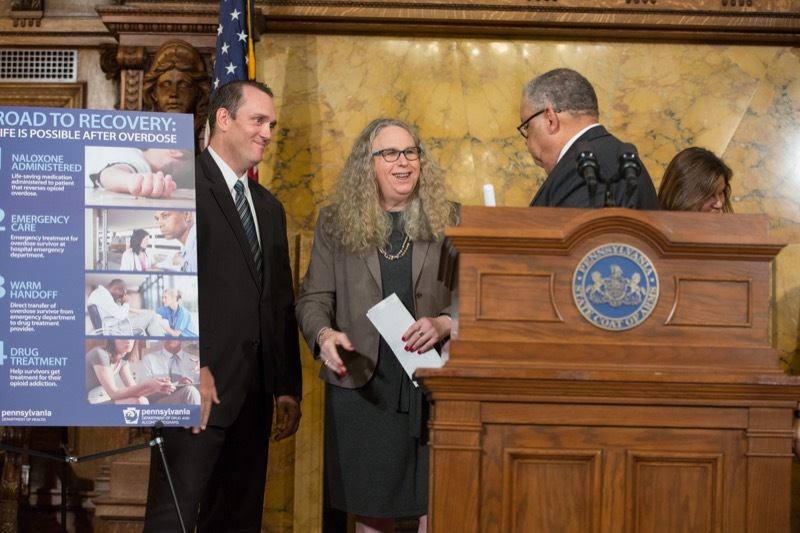 Public and private partners gathered today at the headquarters of PSECU to announce a pioneering partnership and program that aims at reducing recidivism - the holding of five simultaneous Financial Reality Fairs on October 14 in Philadelphia, Pittsburgh, Harrisburg, Erie, and Reading. 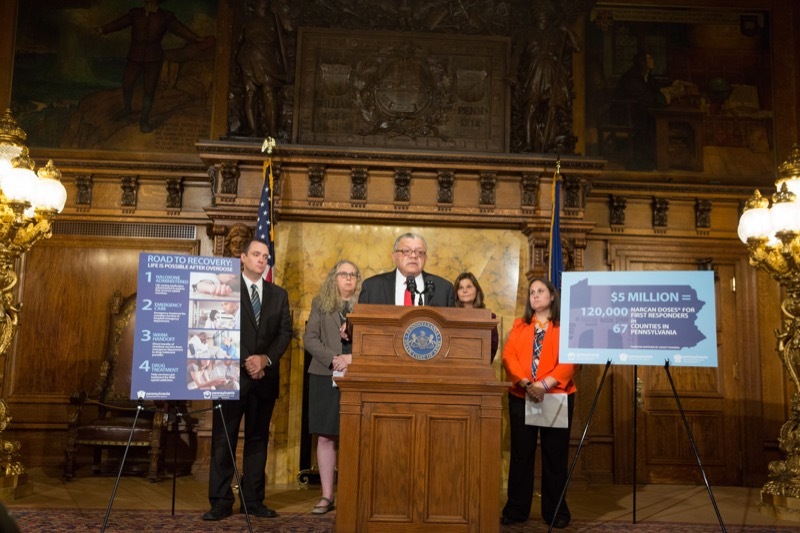 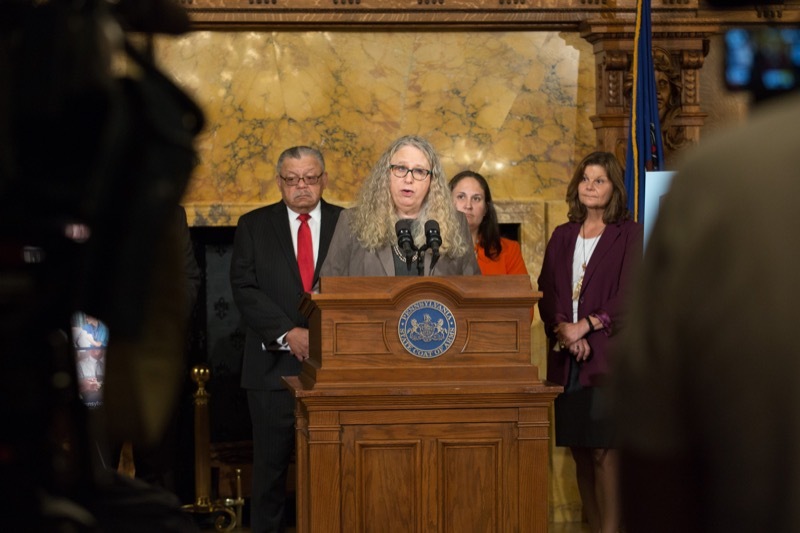 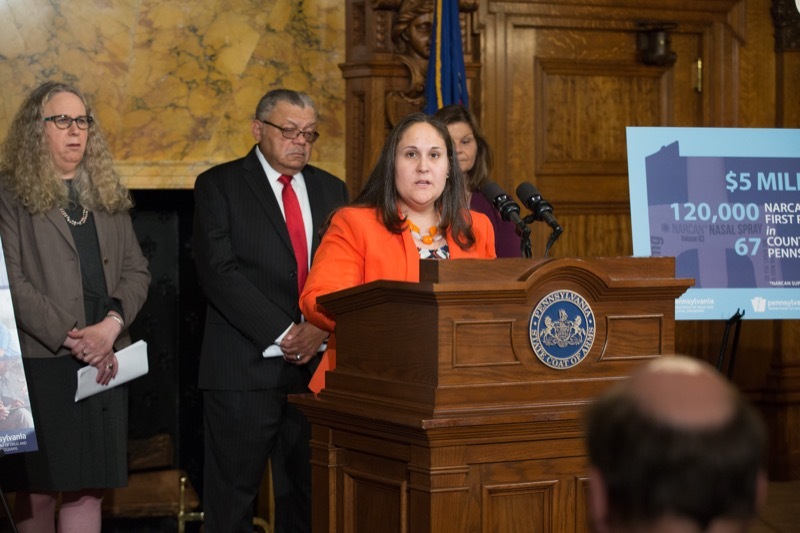 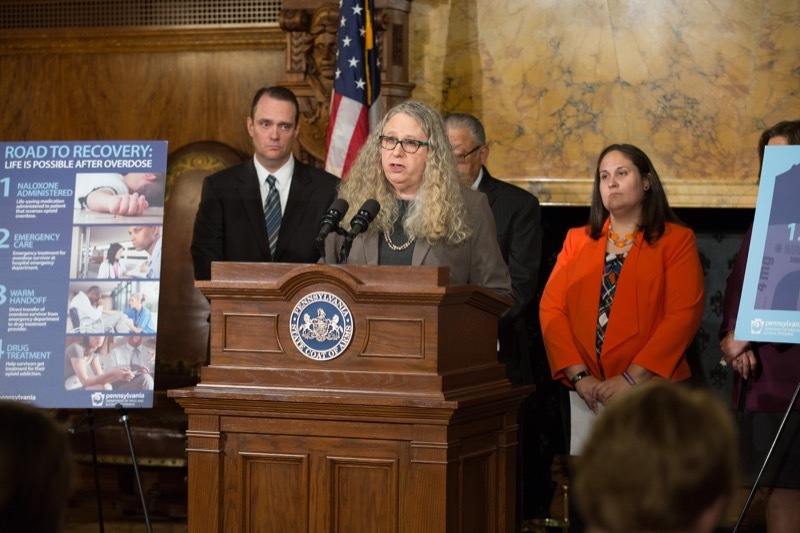 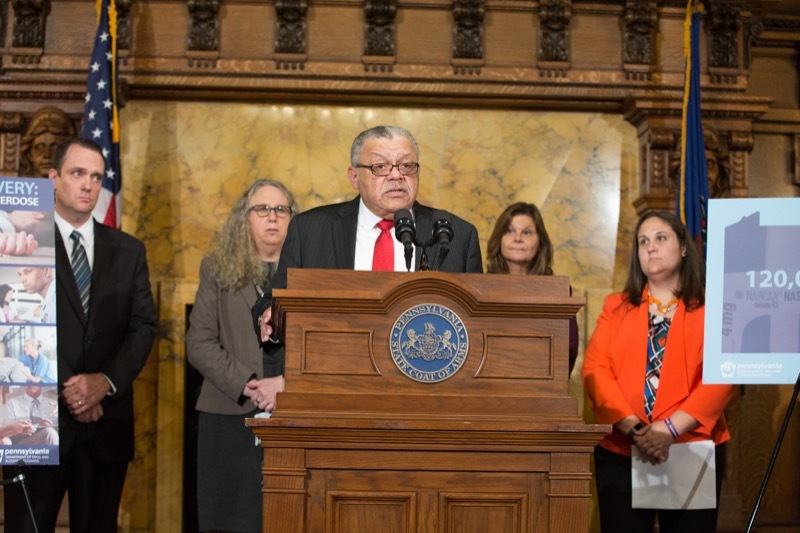 Today, Wolf Administration officials from the Department of Corrections, the Department of Banking and Securities, and the Board of Probation and Parole, joined by representatives of the PA Housing Finance Agency and the PA Credit Union Foundation, announced a program - one of the first in the nation -- designed to help reduce inmate recidivism through financial education. 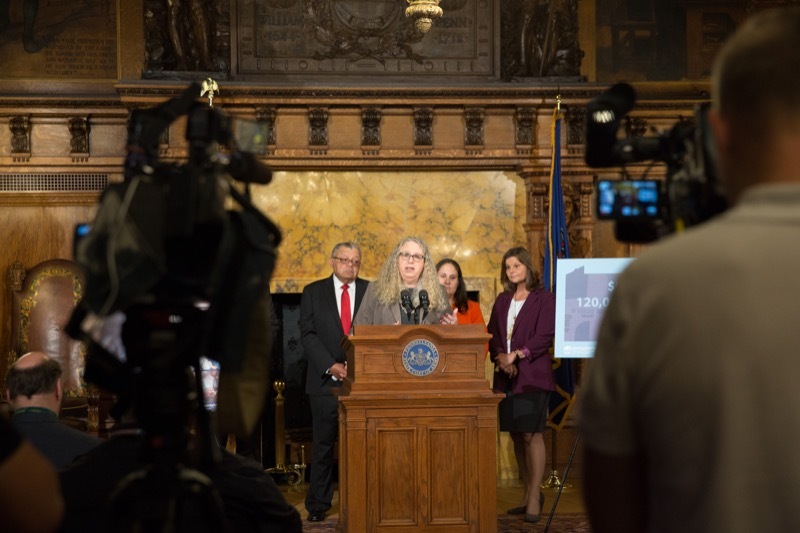 Public and private partners gathered today at the headquarters of PSECU to announce a pioneering partnership and program that aims at reducing recidivism - the holding of five simultaneous Financial Reality Fairs on October 14 in Philadelphia, Pittsburgh, Harrisburg, Erie, and Reading. 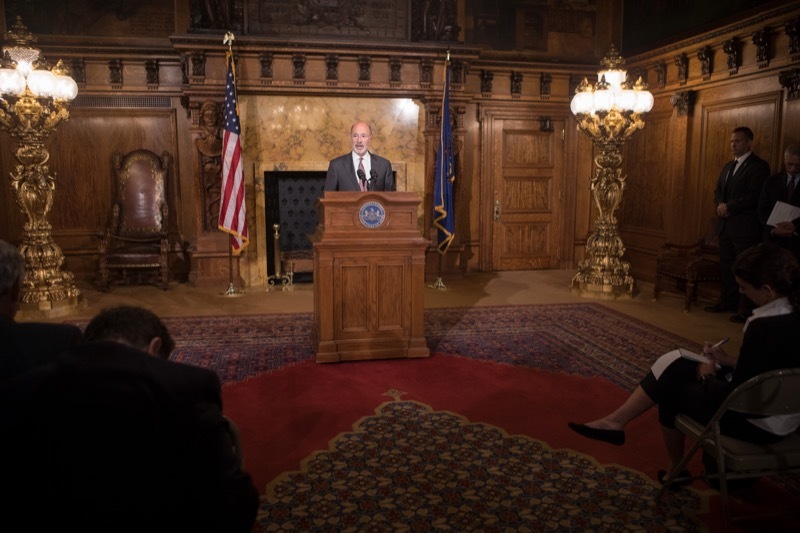 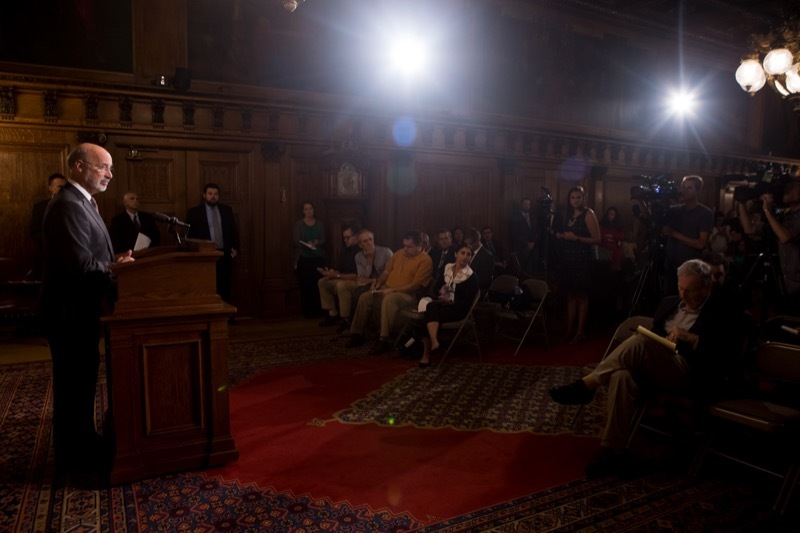 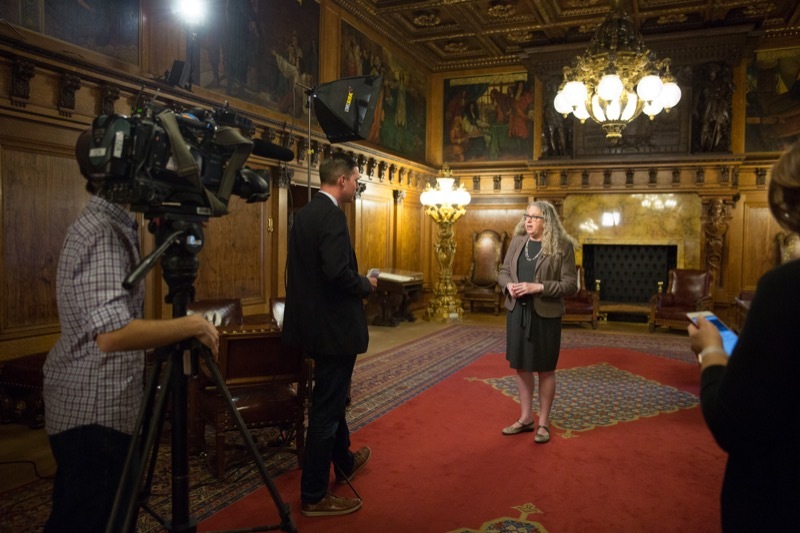 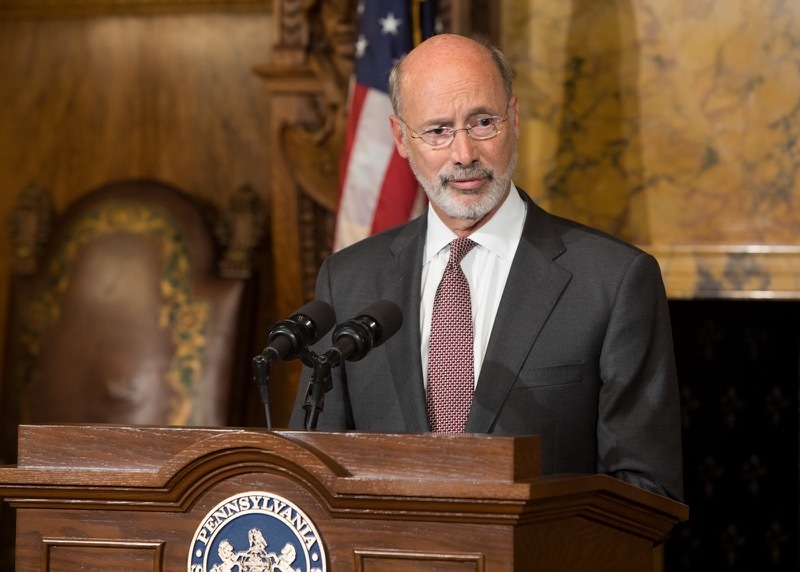 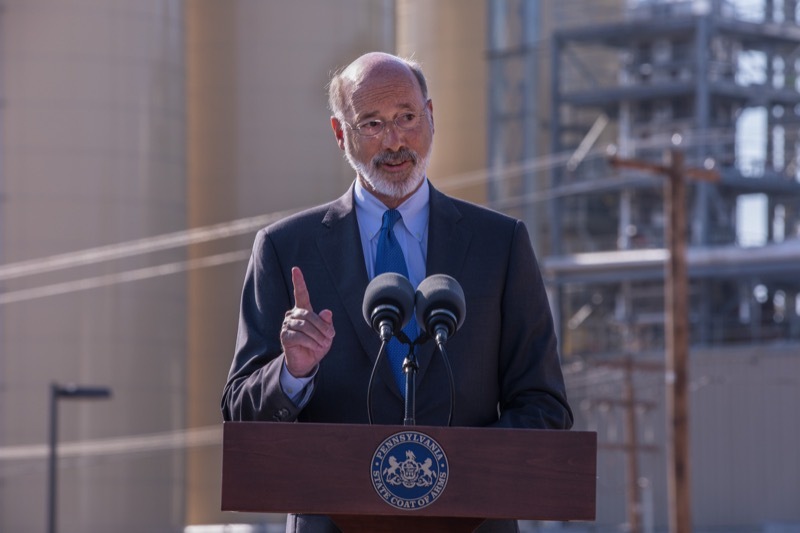 Today, after the repeated failure of the legislature to finalize the budget deal, Governor Wolf called on Republican leaders to replace their most recent tax proposals with a commonsense severance tax and vote. 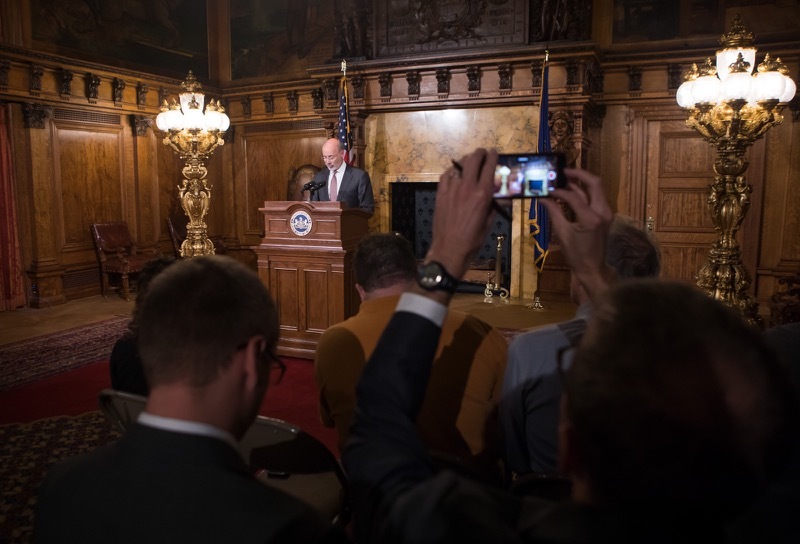 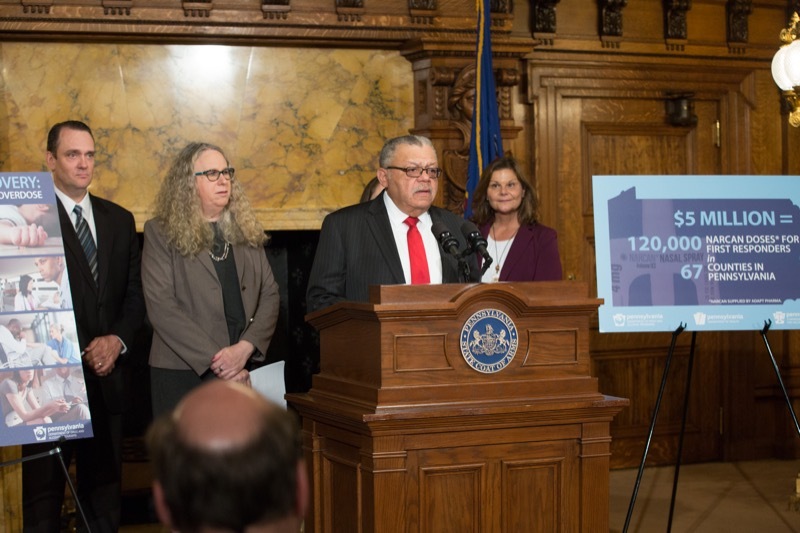 Republican leaders could not deliver votes for a commercial storage tax or a hotel tax despite their offering of both as counters to a severance tax. 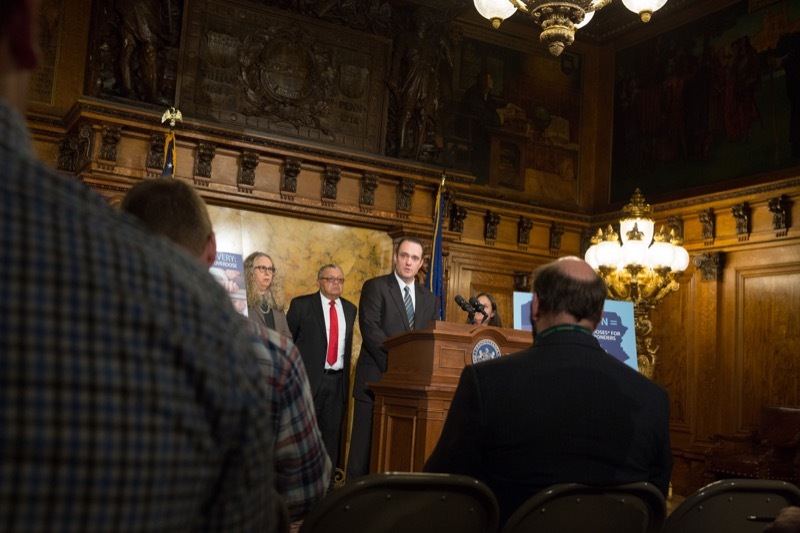 The winners of the first-ever commonwealth data hackathon have created a website that uses crash data and predictive analytics to help the motorists avoid potential accidents in the future. 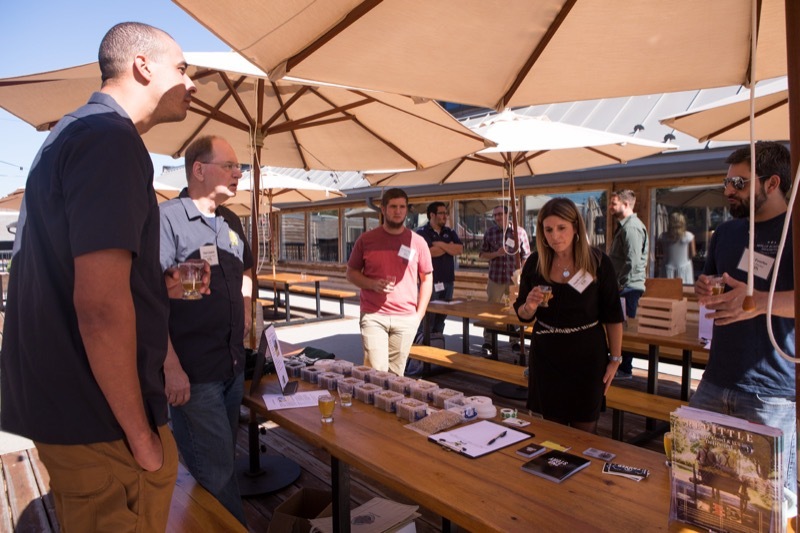 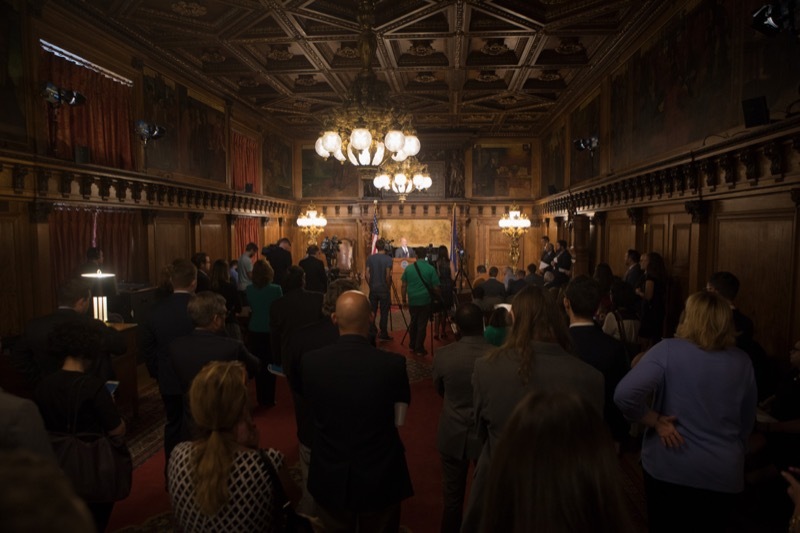 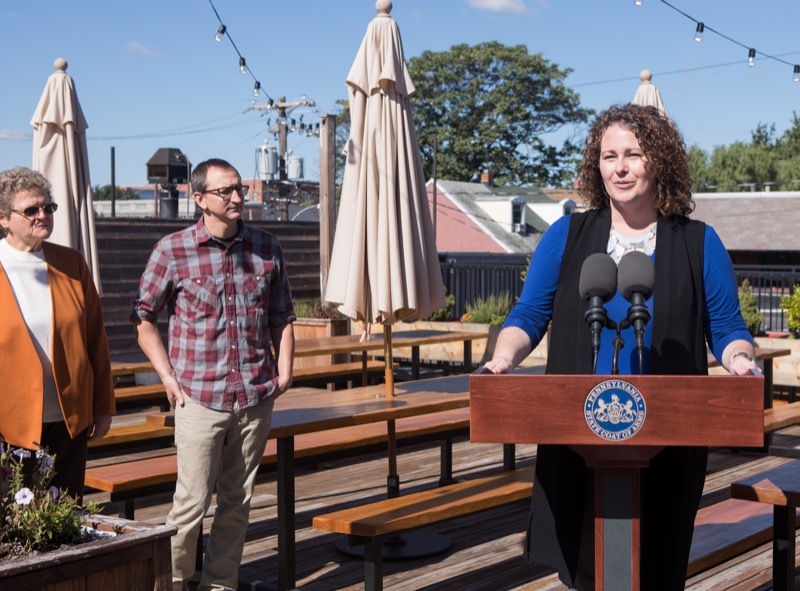 Nearly 200 people participated in the Code4PA hackathon, which kicked-off on September 29 in Harrisburg and Philadelphia. 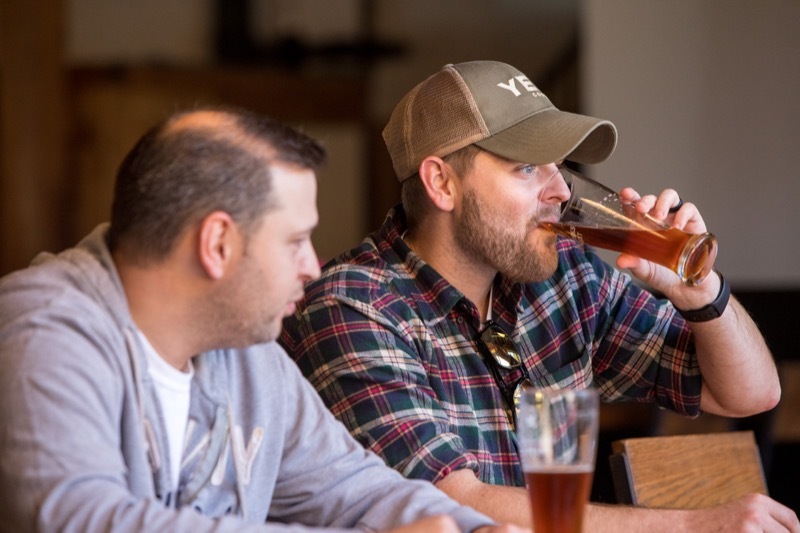 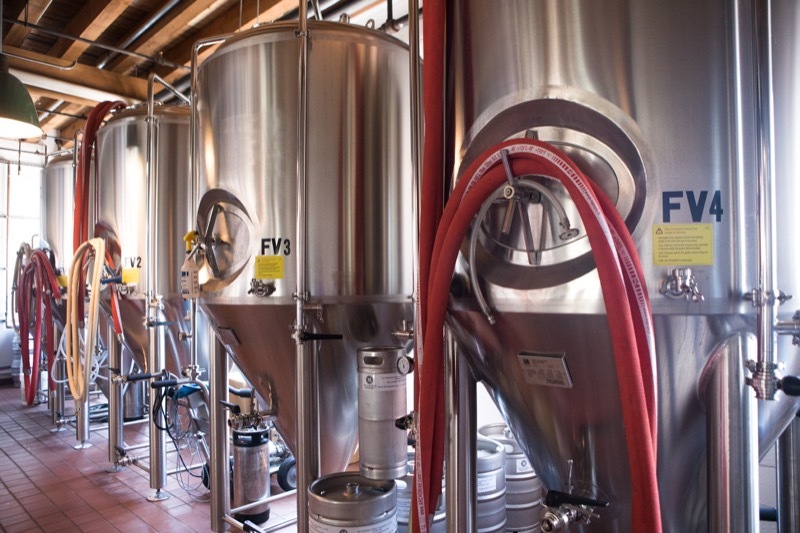 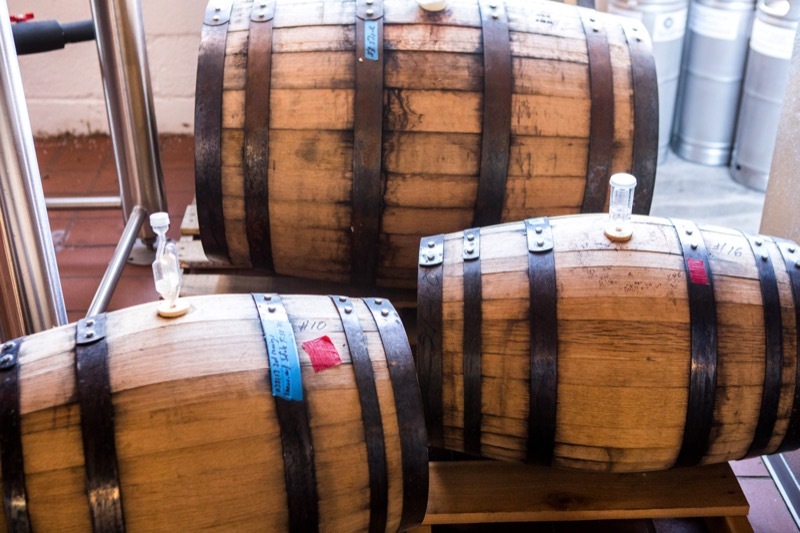 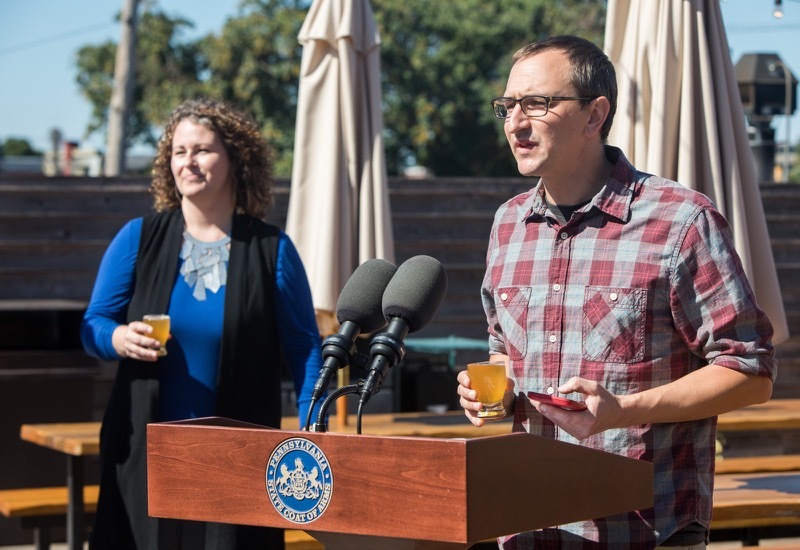 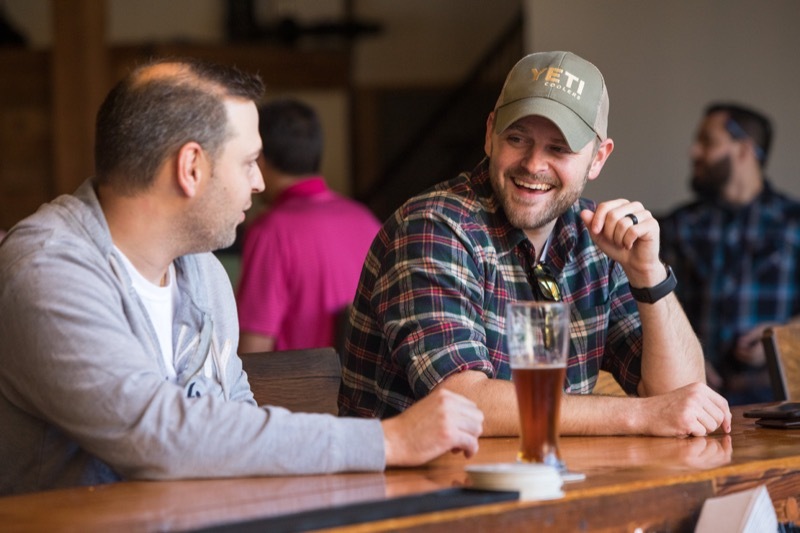 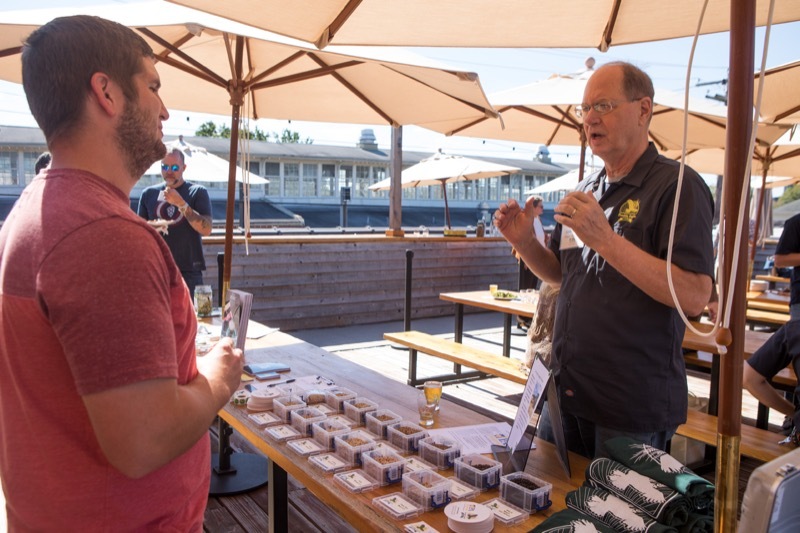 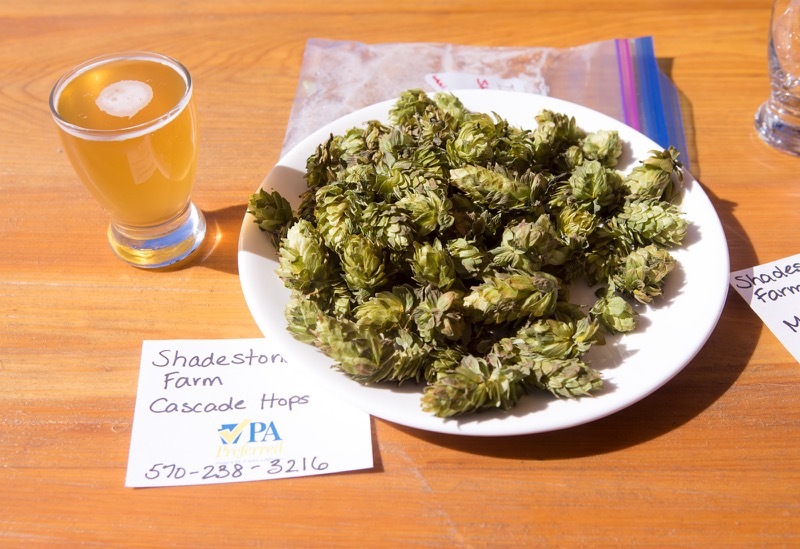 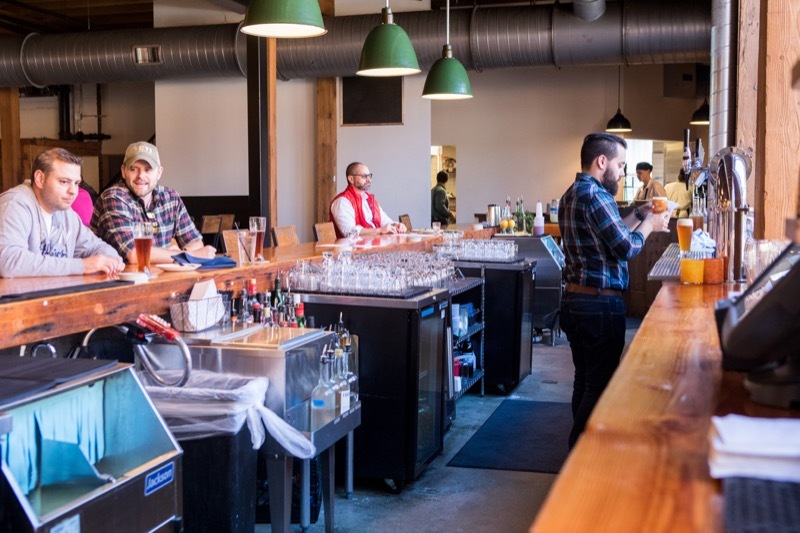 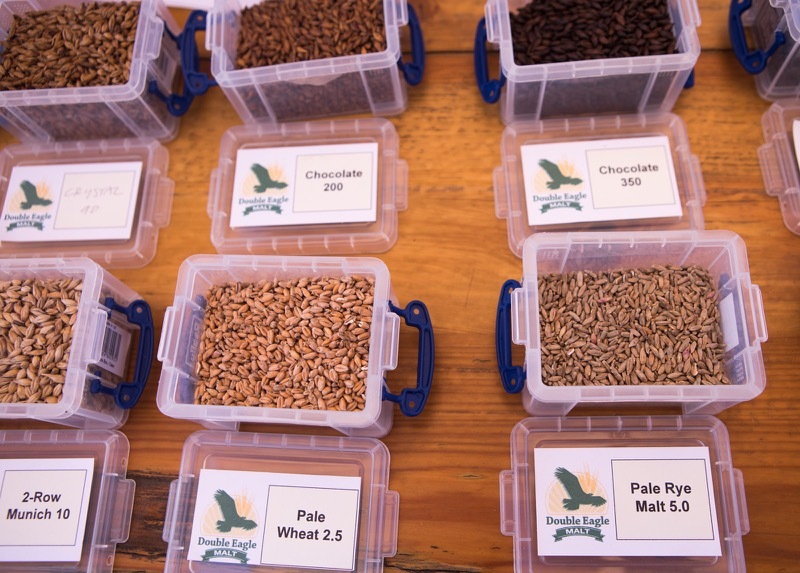 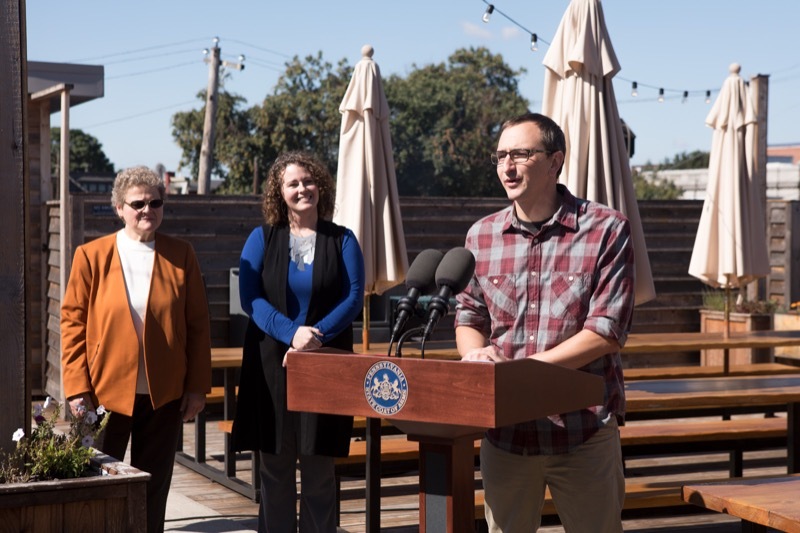 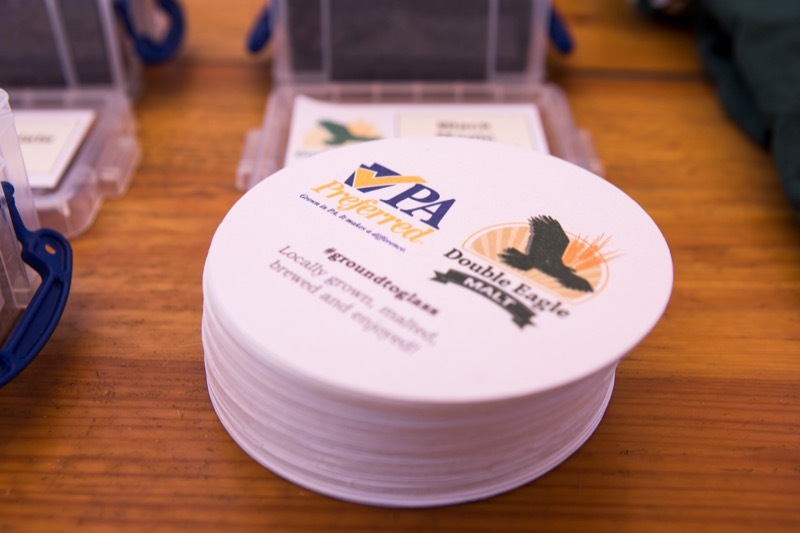 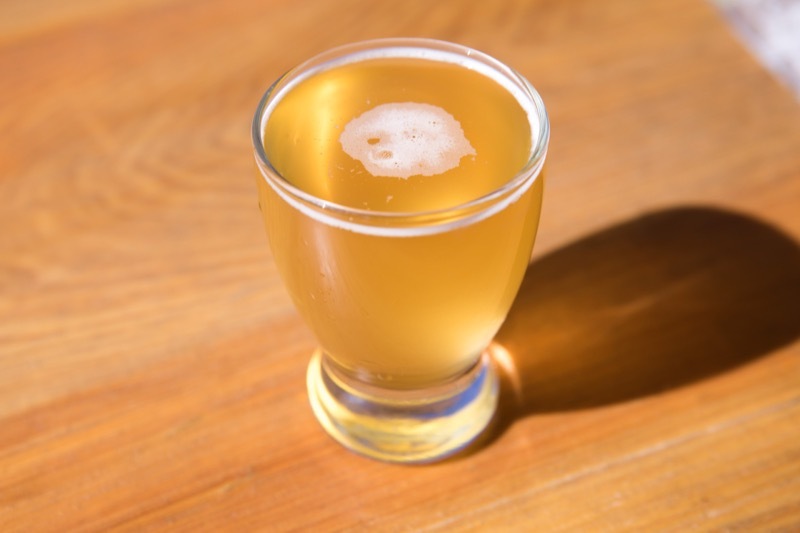 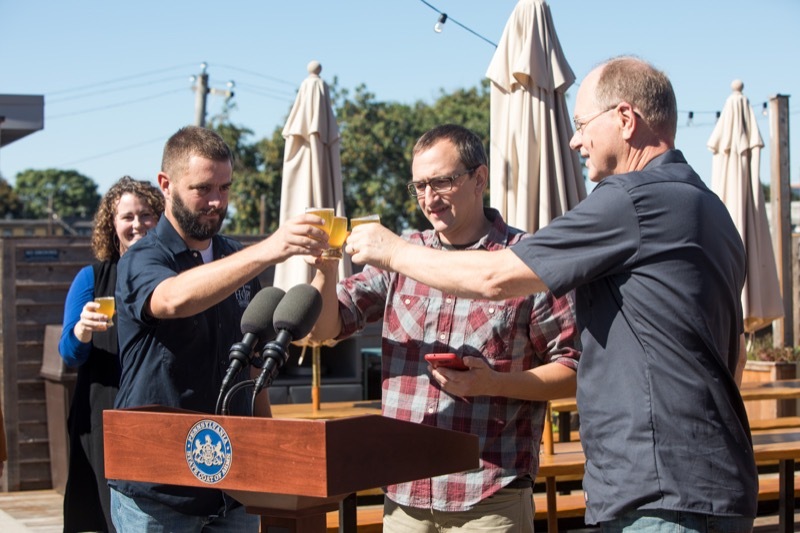 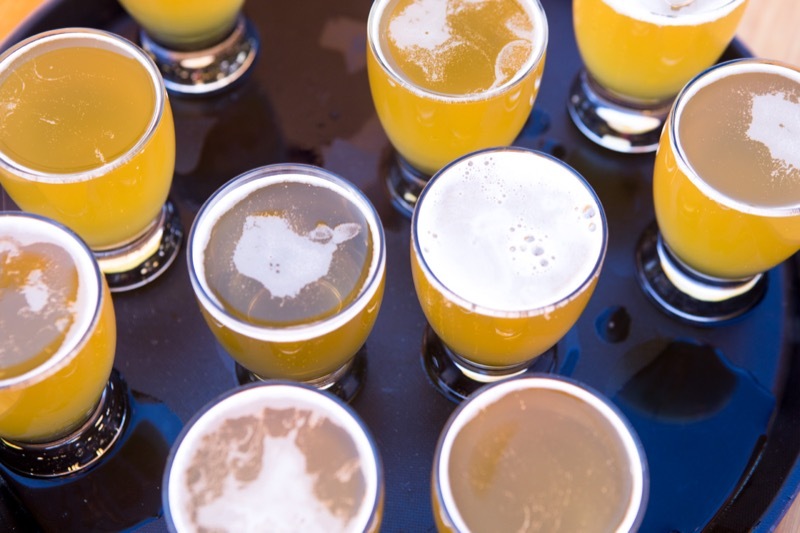 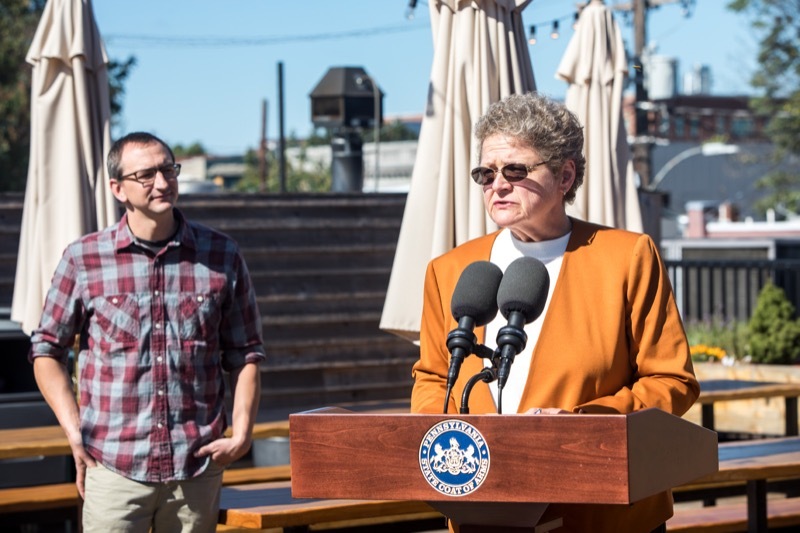 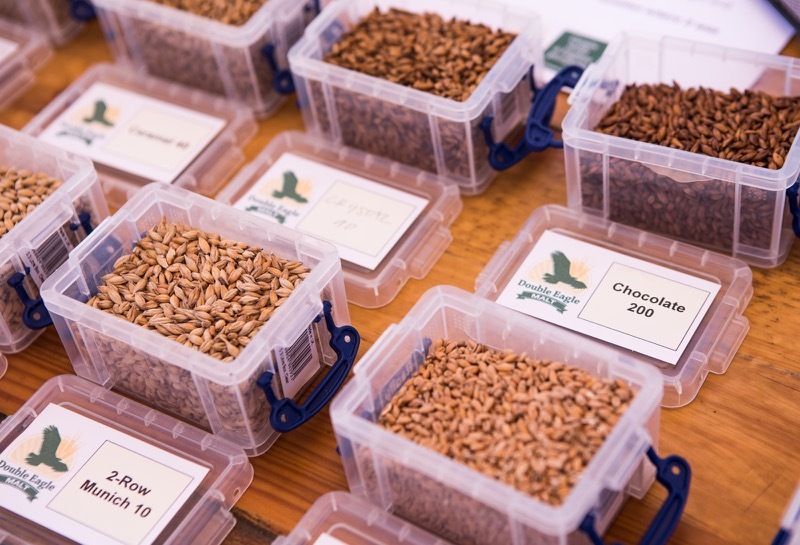 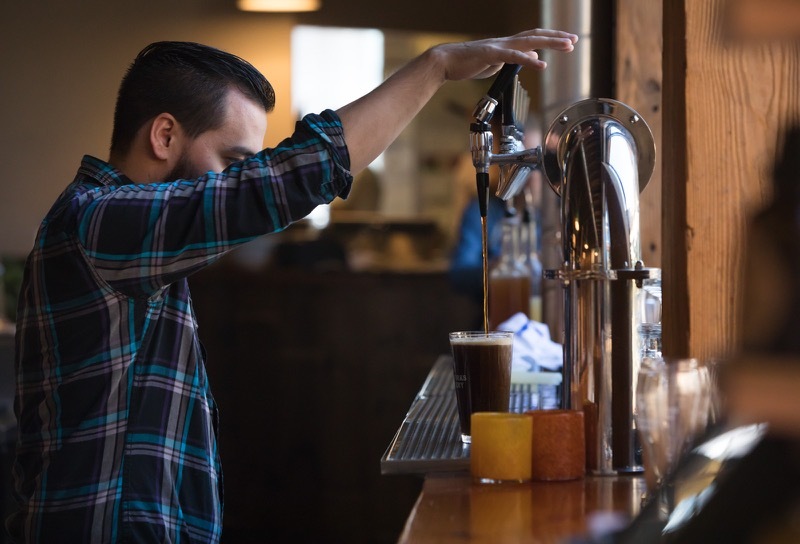 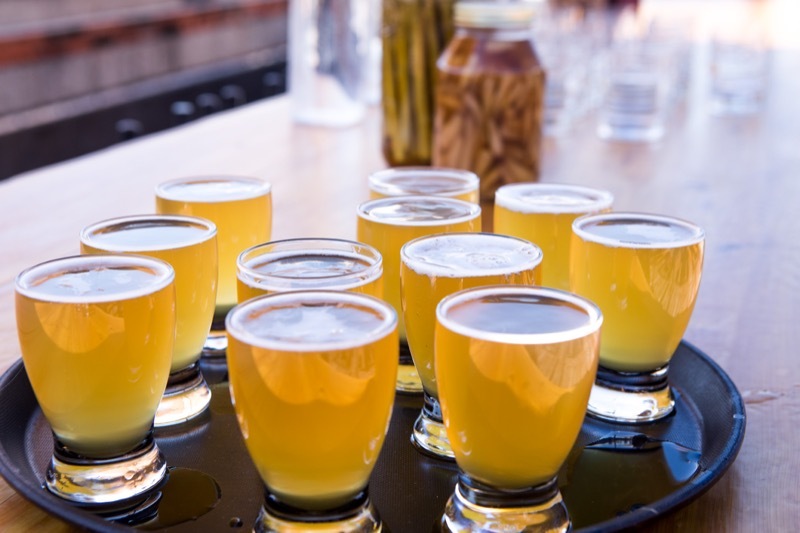 To further support a rapidly growing industry in the commonwealth, Governor Tom Wolf today announced the launch of the PA Preferred Brews initiative, a branding program dedicated specifically for beers brewed in Pennsylvania using agricultural commodities grown in the state. 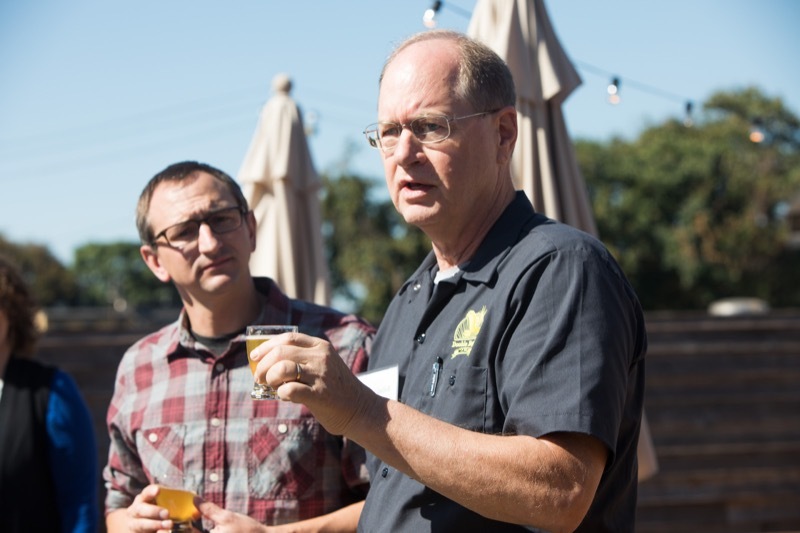 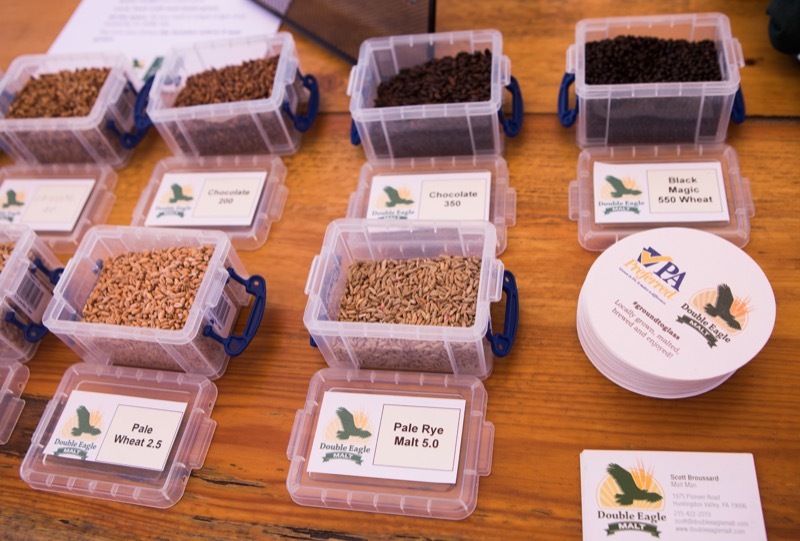 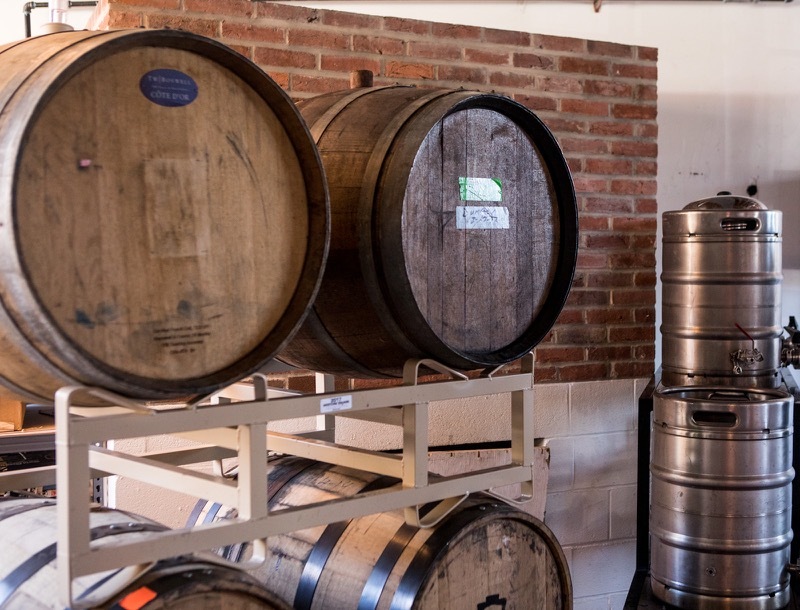 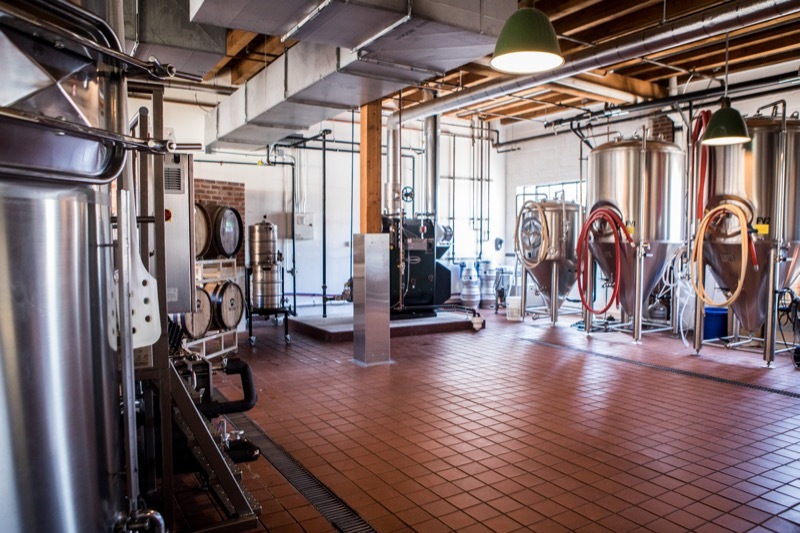 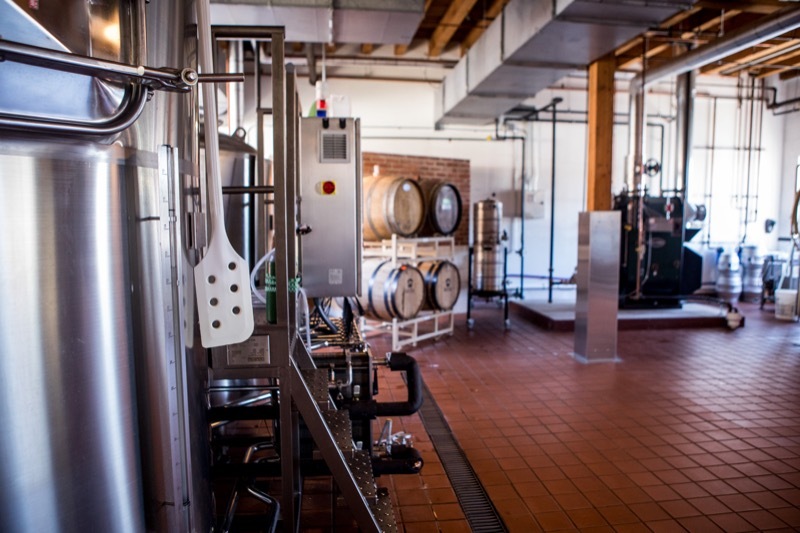 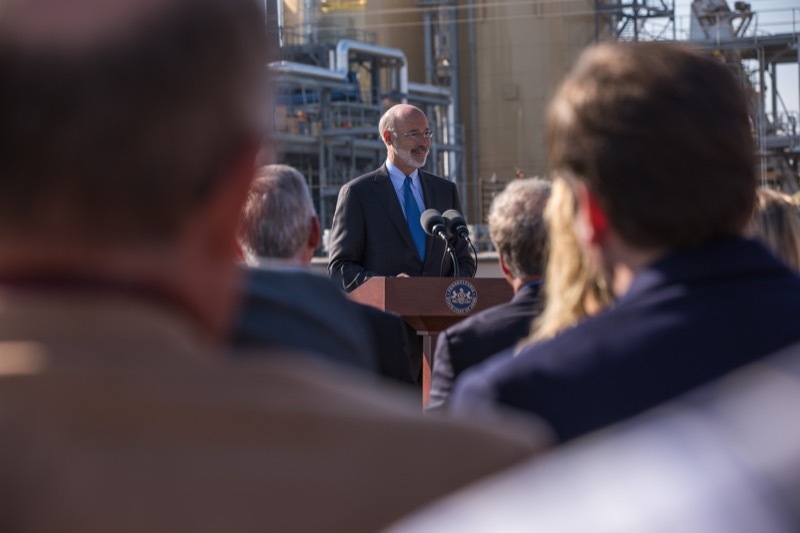 To further support a rapidly growing industry in the commonwealth, Governor Tom Wolf today announced the launch of the PA PreferredTM Brews initiative, a branding program dedicated specifically for beers brewed in Pennsylvania using agricultural commodities grown in the state. 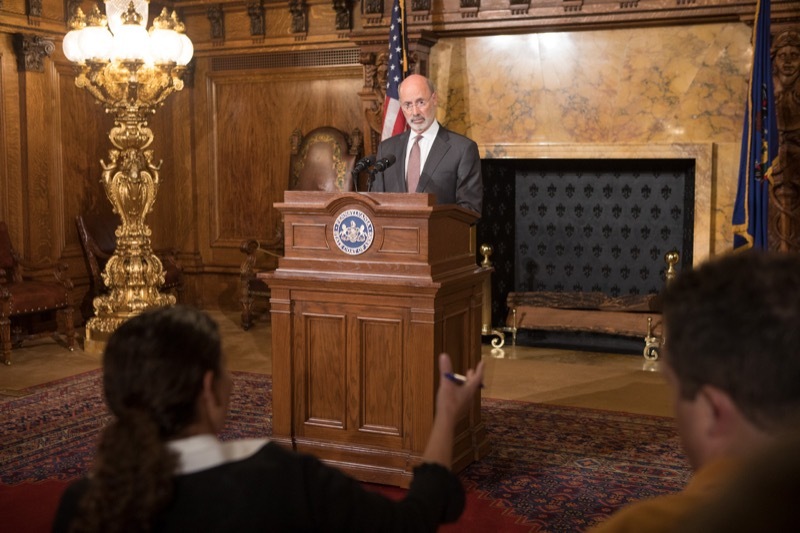 Wolf Administration officials, including Pennsylvania Department of Education (PDE) Secretary Pedro A. Rivera and Department of Labor and Industry (L&I) Deputy Secretary Eileen Cipriani, today joined students, employers, lawmakers, partners from Pennsylvania's five STEM ecosystems, and others to highlight the work Pennsylvania has done with STEM education and careers over the past few years. 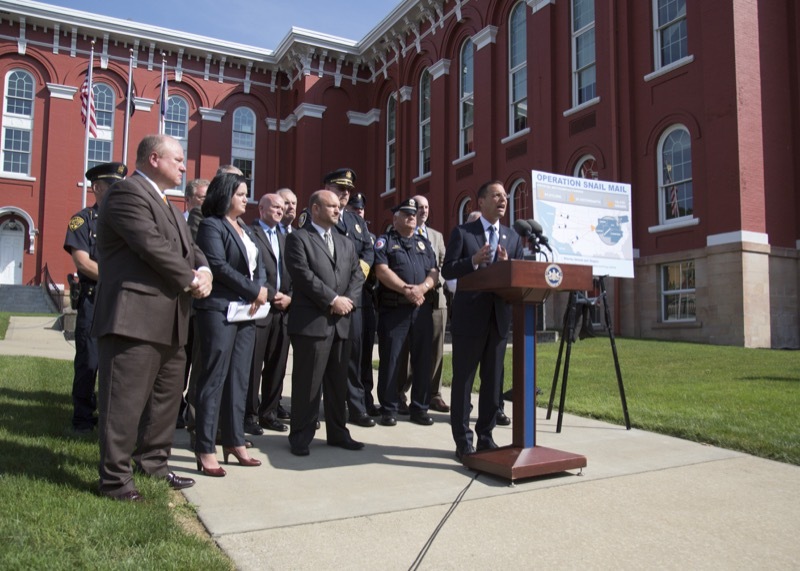 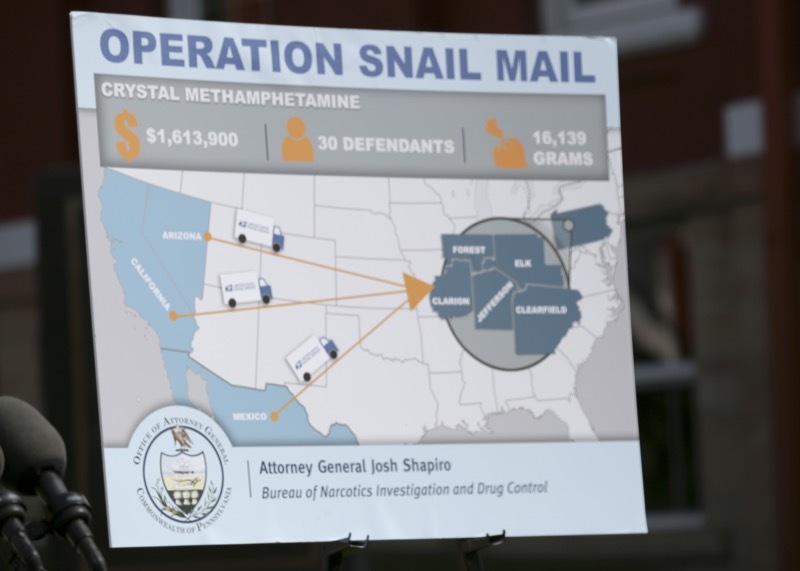 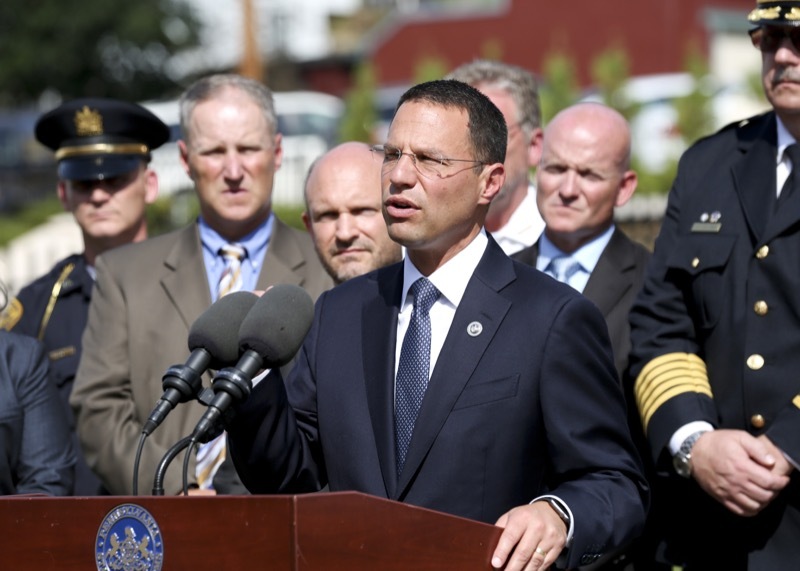 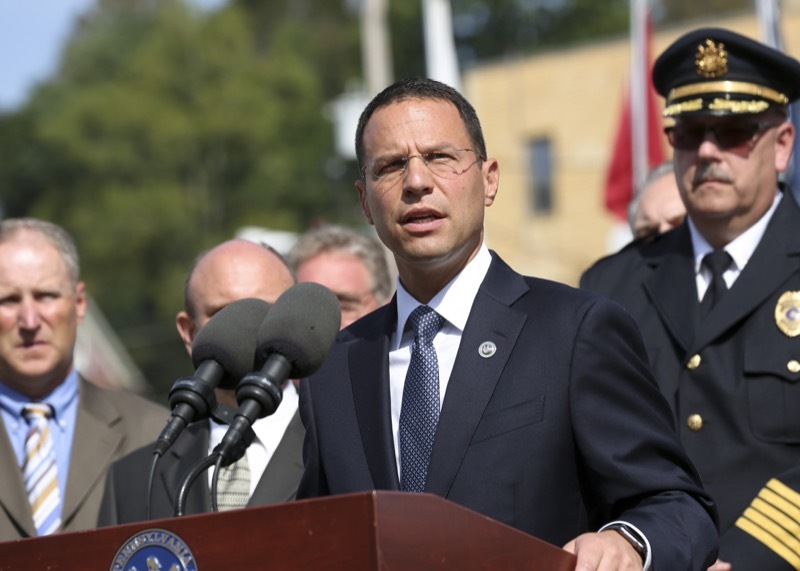 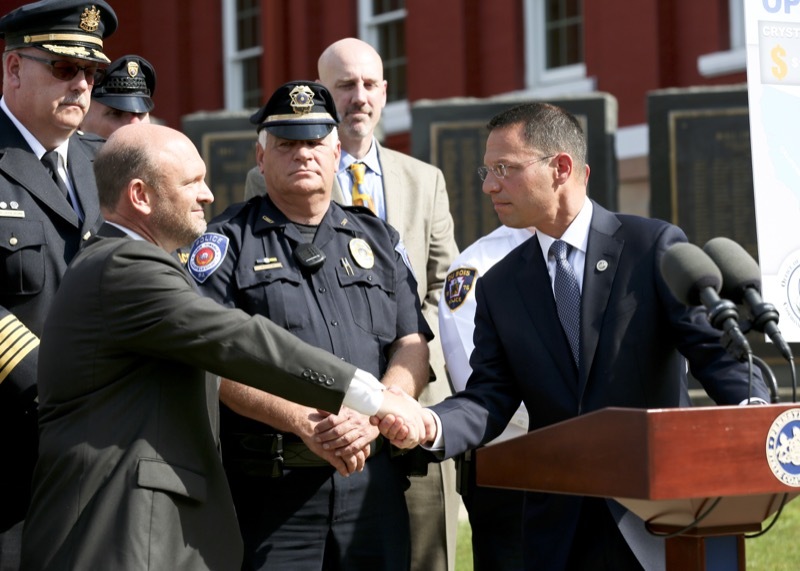 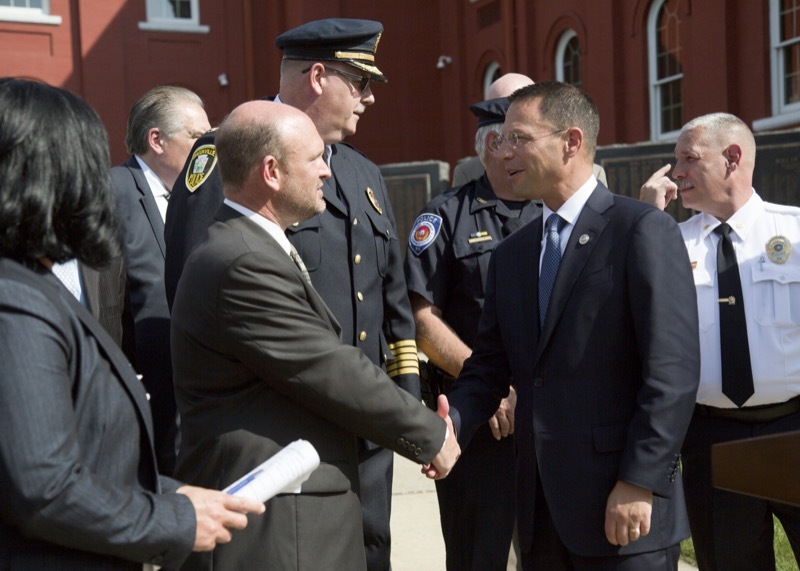 Attorney General Josh Shapiro today announced criminal charges against 30 drug dealers in connection with the shipment and sale of $1.6 million in crystal methamphetamine in Jefferson, Clarion, Clearfield, Elk and Forest Counties over the last year and a half. 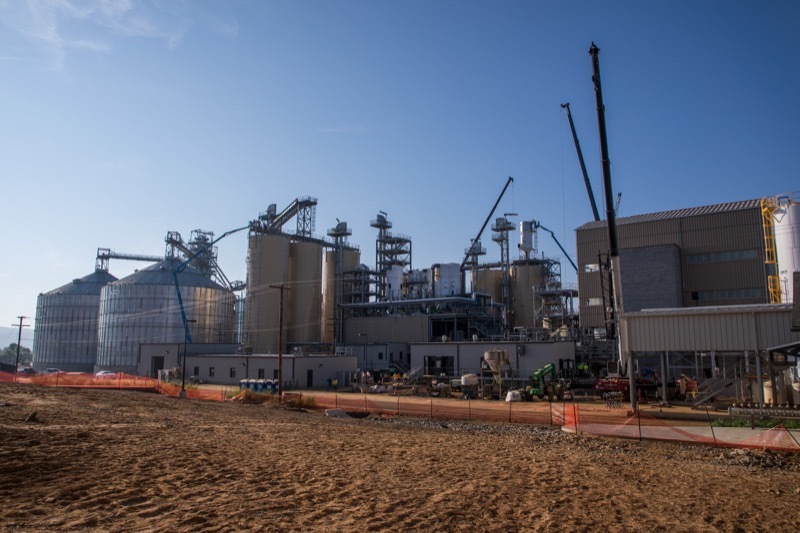 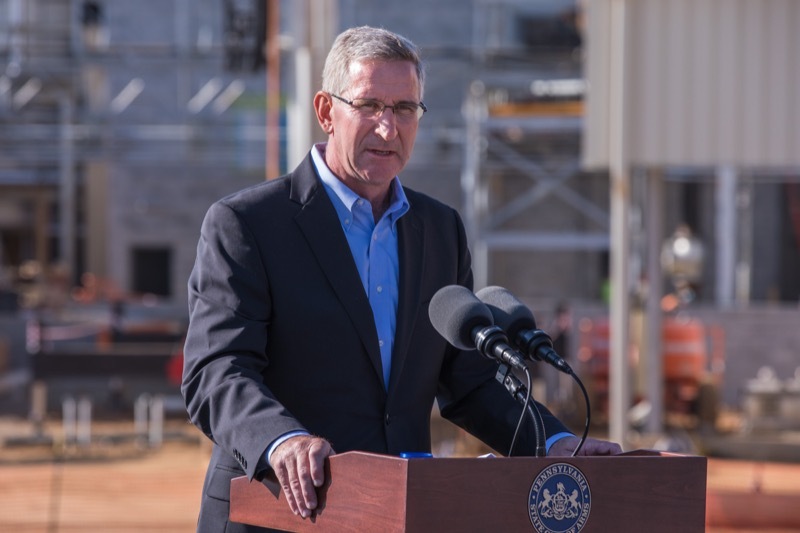 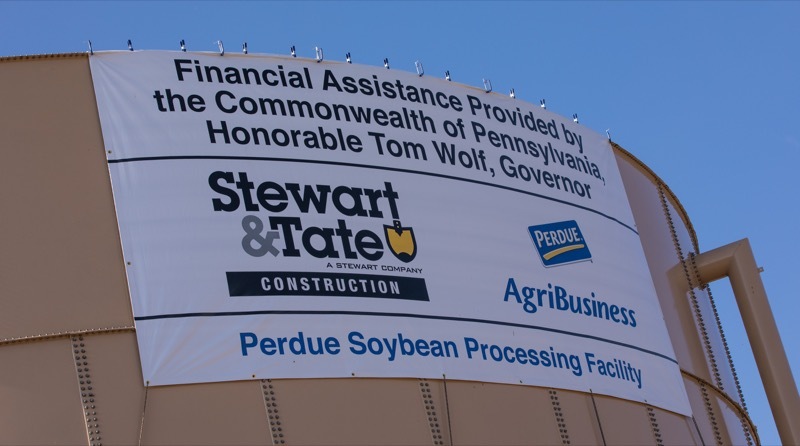 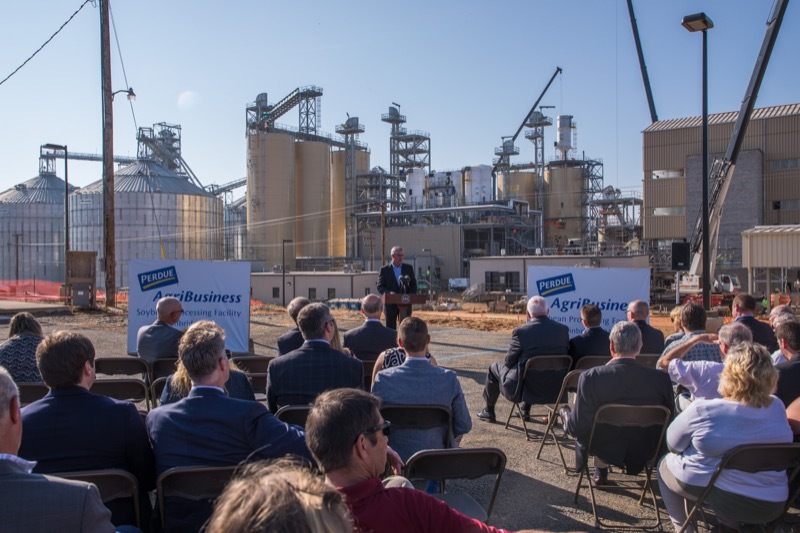 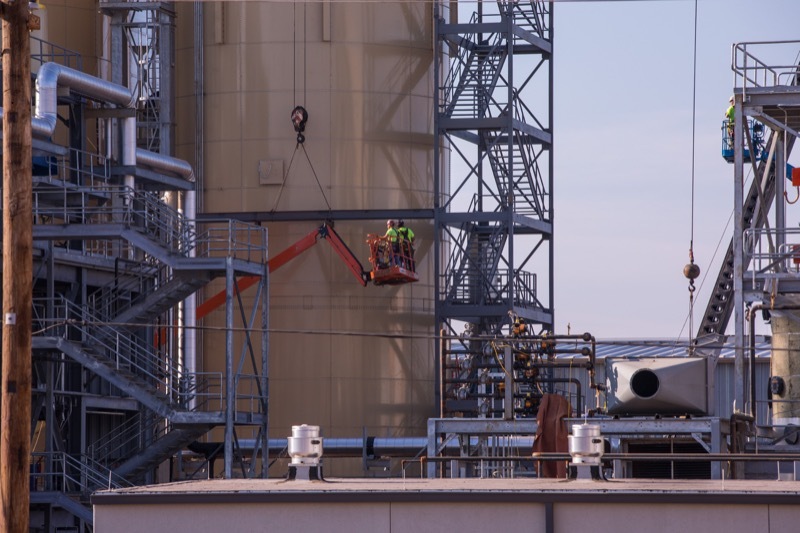 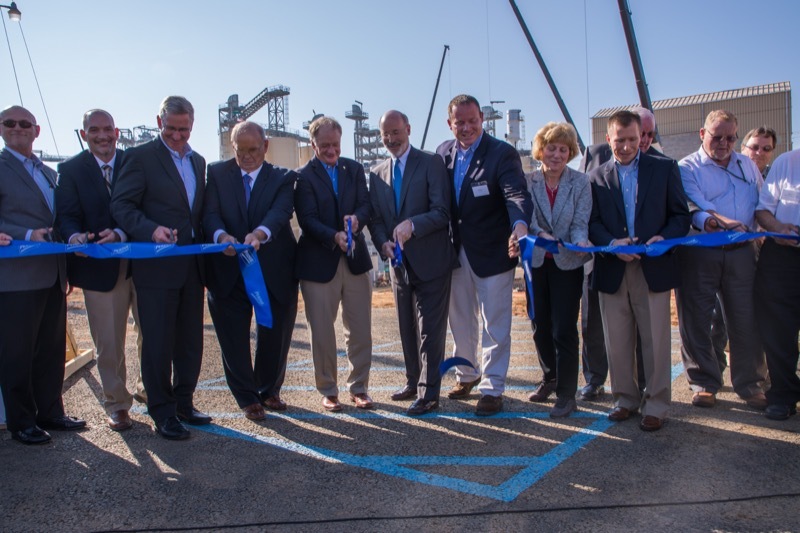 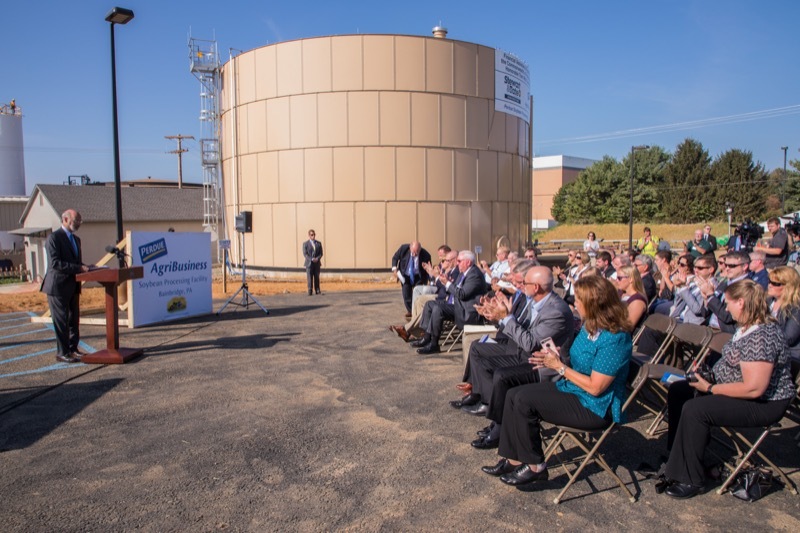 Governor Tom Wolf and Agriculture Secretary Russell Redding today joined Perdue Farms Chairman Jim Perdue and other company and local officials to celebrate the opening of Pennsylvania's first large-scale, commercial soybean processing plant. 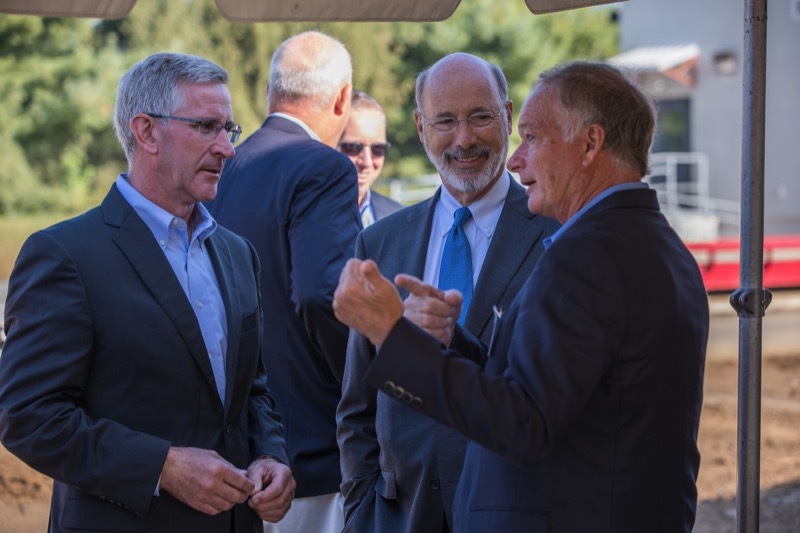 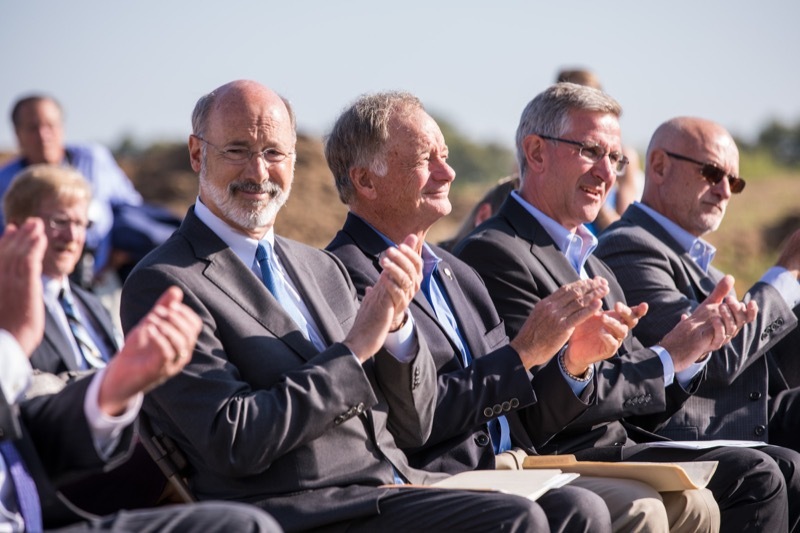 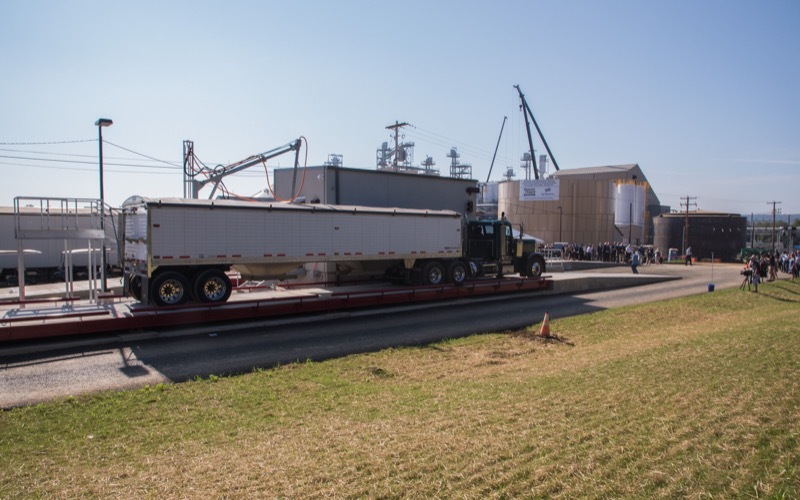 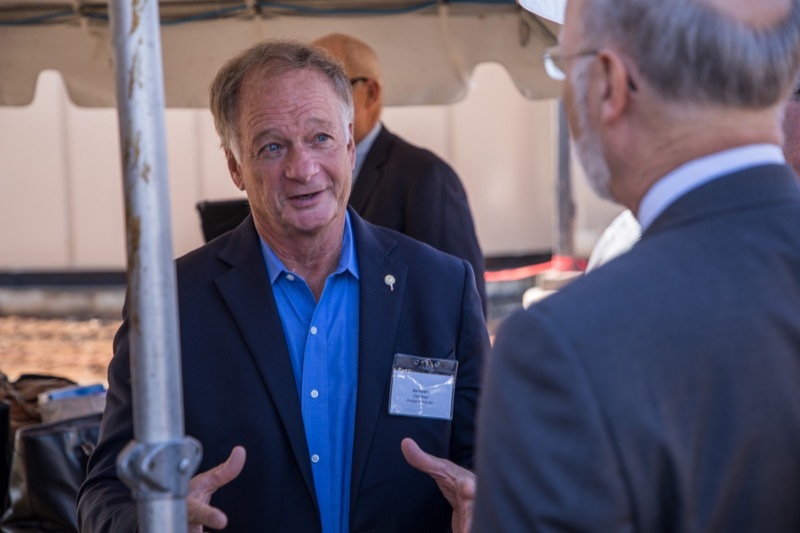 Bainbridge, PA - Governor Tom Wolf and Agriculture Secretary Russell Redding today joined Perdue Farms Chairman Jim Perdue and other company and local officials to celebrate the opening of Pennsylvania's first large-scale, commercial soybean processing plant. 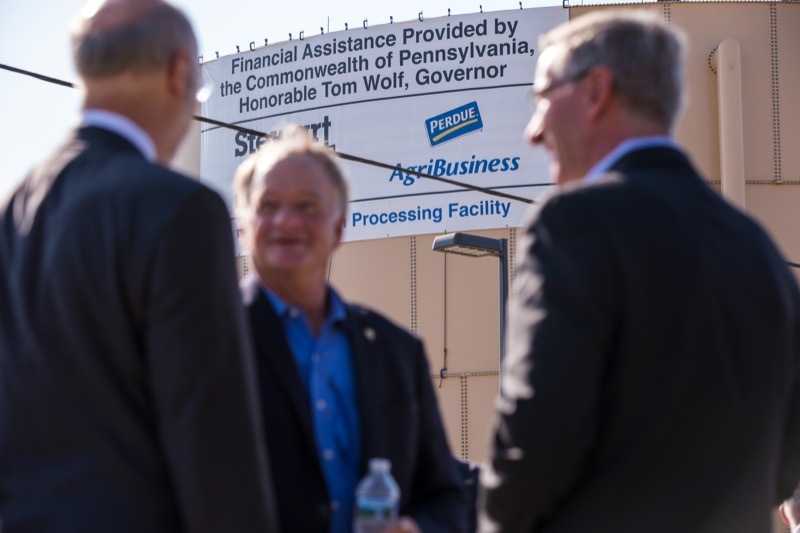 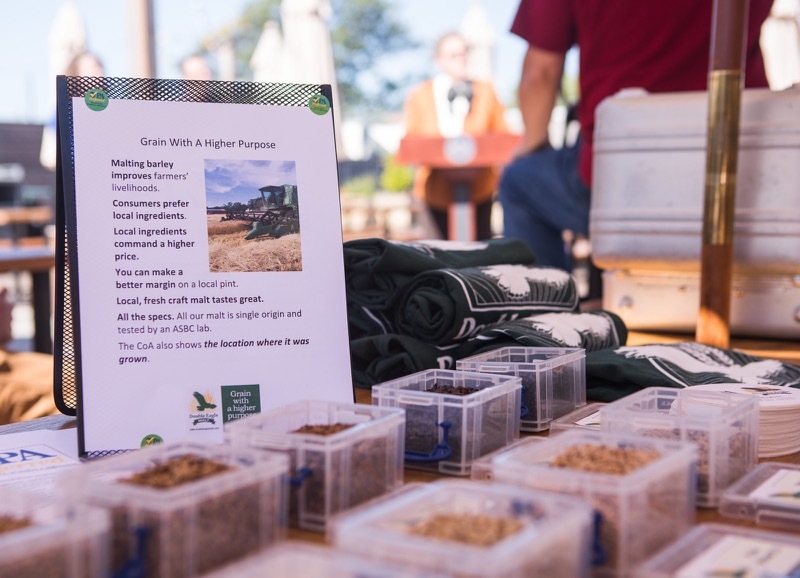 The Lancaster County plant will create 35 family-sustaining local jobs and hundreds more in the state's supply and distribution chain for agricultural products. 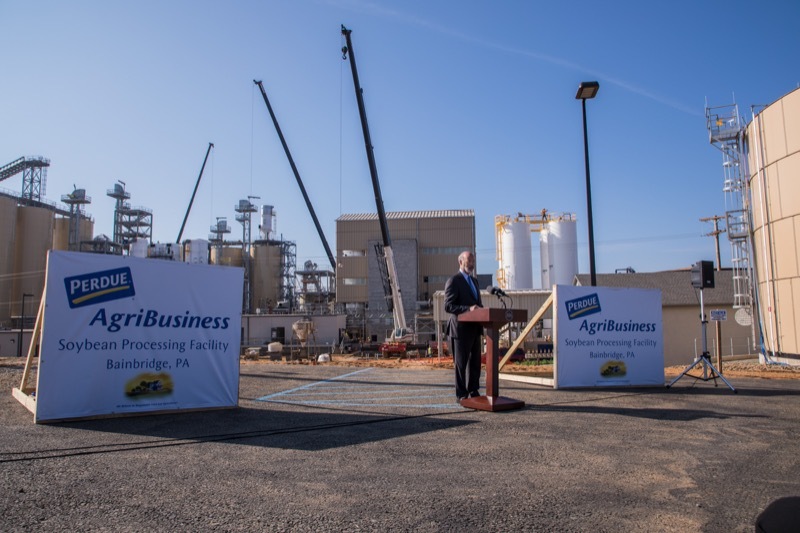 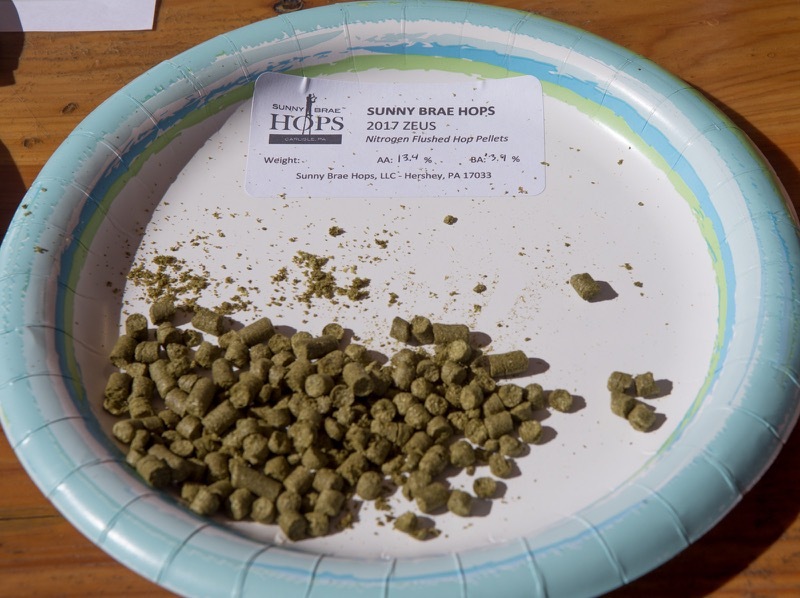 The plant also promises to more than double the state's soybean processing capacity, providing better prices and increased demand for area soybean farmers' crops.